Teenagers are faced with some of the most unbelievable and challenging situations you could ever imagine. Join me as I take you on a journey through the lives of 4 teens as they experience HIV and AIDS in some of the most unexpected ways. Meet a granddaughter who finds out exactly what kind of doctor her Nana visits every three months. Find out what it means to have true friendship from the star athlete and most popular kid in school. Read about a dad who is torn between friendship, family, and morals. Then lastly, see why blood sometimes is thicker than water?. Literally! You don't expect when you get married for the first time that it would end in such a way as mine did. I went from being this blushing bride and this awesome newlywed wife to a guy who I thought was my heaven sent to a woman that felt damaged, scorned, and abused. When I found out I was pregnant I was excited and that quickly ended Nov 21, 2007. Numb is the only word to describe how I felt when the doctor said to me that I was HIV Positive. I was a new bride, newly pregnant and newly infected. All by my husband. You think you know everything there is to know about someone before you marry them only to find out it was all hidden and you were being fed lies. Never once did I think I was going to die. The only fear I had for my future was rejection and that still didn't stop me from being open about my status from the beginning and sharing my story with the world. 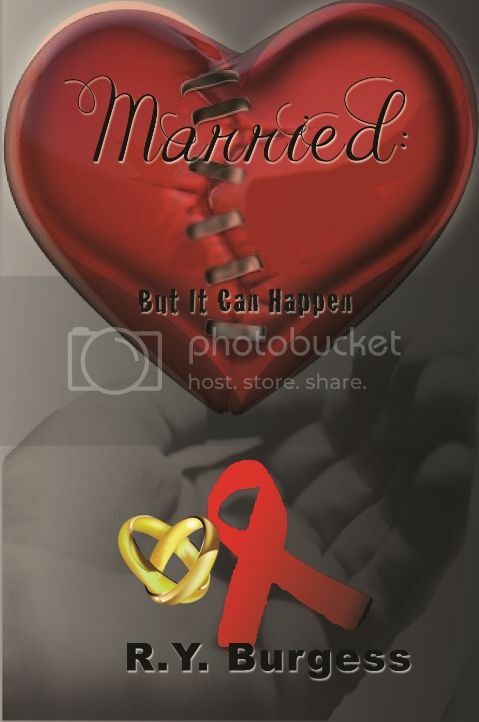 On Tuesday, September 3, 2013 my very anticipated book 'MARRIED: BUT IT CAN HAPPEN' was made available in print. I encourage you to get your copy and encourage others to get a copy. As od December 1, 2015 the E-Book version was made available. This book talks about my life in the deepest way that nobody has yet to ever see. Not only will this book go into detail of how I became infected with the HIV virus but also the life I have had to live 5 years after my HIV diagnosis. Which includes dating, school, the birth of children, depression, suicidal thoughts, and what it takes for someone who has gone through all of this to move forward and come out on top. HIV/AIDS is a subject that many try to stay away from in conversation but I say let's make it the #1 topic in the world! This book will change the way married couples think about their entire union. Just when you thought that being married meant safety.